19 January 2016: The CITES Secretariat is pleased to welcome the Republic of Tajikistan as the 182nd Party to CITES. 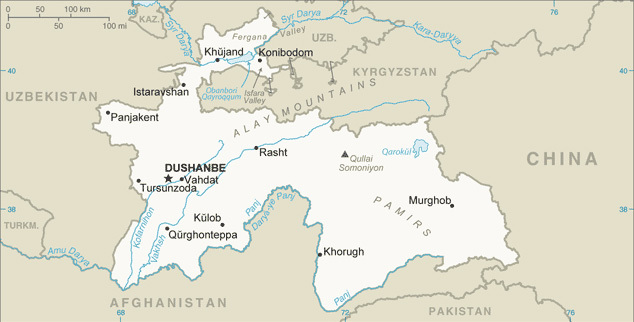 Tajikistan is situated in Central Asia, bordered by Afghanistan to the south, Uzbekistan to the west, Kyrgyzstan to the north, and China to the east. Tajikistan is home to a variety of fauna and flora, of which 94 are included in the CITES Appendices, ranging from fish, bird to reptiles and mammal, with birds of prey dominating the list. The Convention will enter into force for Tajikistan on 30 March 2016.